Shell Philippines is not implementing a price increase for its new line of V-Power Nitro+ fuel products. Shell launched the V-Power Nitro+ earlier this week, replacing Super Premium (now V-Power Nitro+ Gasoline), V-Power (now V-Power Nitro+ Racing) and V-Power Diesel (now V-Power Nitro+ Diesel). People worried that Shell's fuel products might incur a price increase with the launch of the V-Power Nitro+ line, but Shell thankfully is keeping its current pricing. Also, the octane ratings for the gasoline products have been retained, with the V-Power Nitro+ Gasoline still at 93 and the V-Power Nitro+ Racing still at 97. 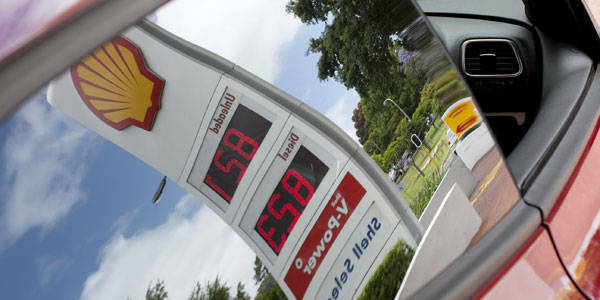 As for the emissions standard, Shell says that the V-Power Nitro+ line is still Euro 2.